A suicide bomber has blown himself up at a mosque in Saudi Arabia, which was used by members of the security forces, killing at least 15 people. Islamic State has claimed responsibility for the attack in the Asir region. The terror group circulated a statement on Twitter, saying a suicide bomber had infiltrated a "military camp" for the Special Emergency Force in southwestern Asir province, Reuters reported. But it didn’t specify the attack was in a mosque. 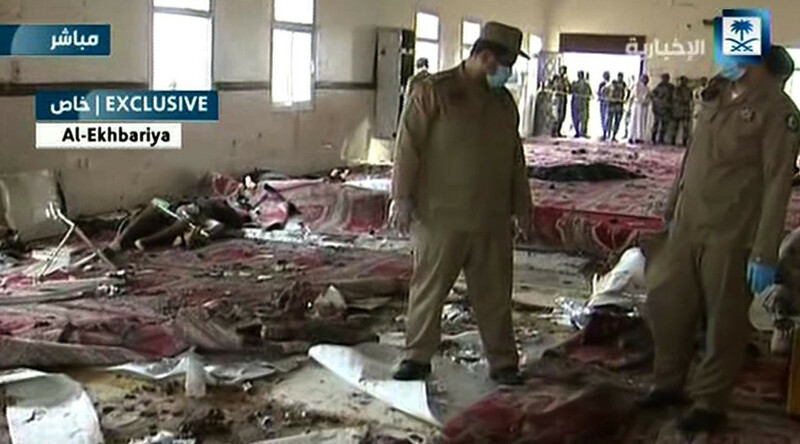 The Saudi interior ministry said the attack killed 15 people. However, earlier state television El-Ikhbariya put the death toll at 17. Saudi Arabia’s emergency forces used the mosque, the Al Arabiya television channel has claimed. Local hospitals are desperately appealing for blood to try and treat the injured. Meanwhile, the Saudi authorities say they will make a statement surrounding the terrorist attack soon. Saudi Arabia has witnessed a spate of terrorist attacks against Shiite mosques over the last few months. In May, 21 people were killed after Islamic State (IS, formerly ISIS) claimed responsibility for a suicide bombing at a Shiite mosque near the border with Bahrain. The blast occurred at the Iman Ali mosque in the town of al-Qadeeh, Qatif province, where around 150 people were praying. IS claimed responsibility for the attack, US-based monitoring group SITE tweeted. The militant group reportedly identified the suicide bomber as Abu 'Ammar al-Najdi, stating that the assault was carried out using an explosive-laden belt. In July, Saudi Arabia said it arrested 431 suspected members of IS and prevented attacks on mosques, security forces and a diplomatic mission. The raids by authorities were initiated after a series of attacks against security forces and a minority Shiite community, which IS supporters claim to have carried out. “The number arrested to date is 431, most of them citizens, in addition to participants from other nationalities ... six successive suicide operations which targeted mosques in the Eastern province on every Friday timed with assassinations of security men were thwarted,” the Saudi Interior Ministry said in a statement posted on the official news agency SPA, Reuters reports.